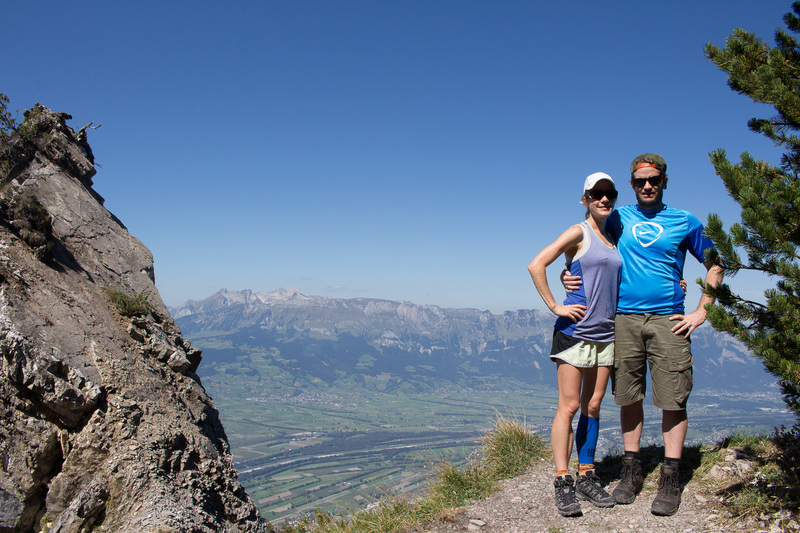 Another month, another country to conquer and this August we headed with our friends Matt and Kendall from New Zealand, to Liechtenstein. 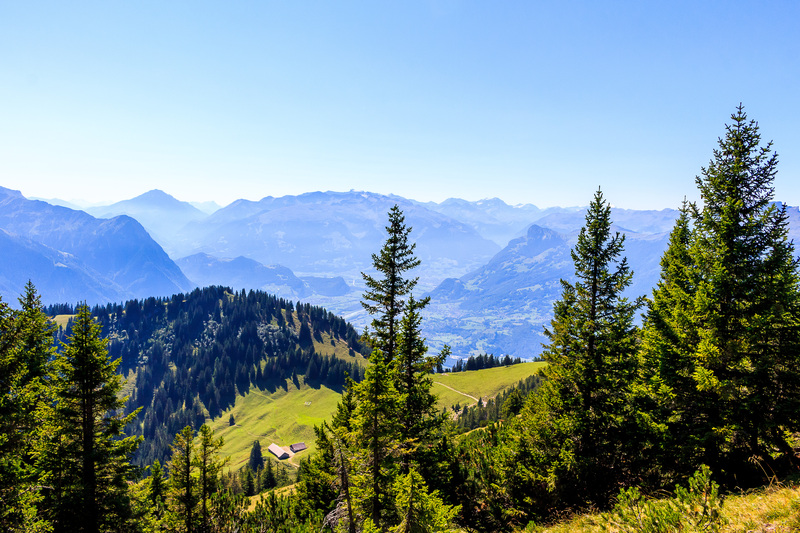 This tiny, 25km long principality where Swiss German is spoken, is nestled between Austria and Switzerland and uses the Swiss Franc. Our main destination was the small mountain village of Gaflei, and to get here once we entered Liechtenstein we had to drive up winding mountain roads. 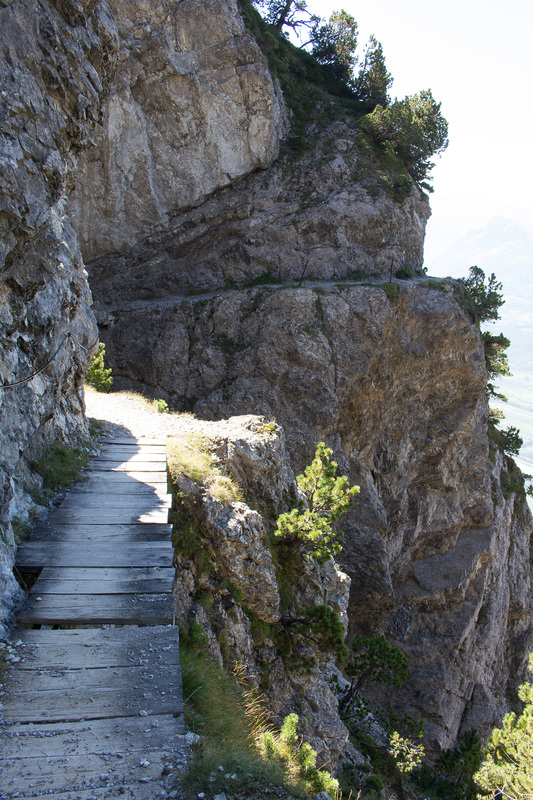 The climb began after Vaduz, and the roads got progressively narrower after Triesenberg. Hairpin corner after hairpin corner, narrow one-lane roads and gradients which made us fear the car would start to roll backwards took us through storybook villages and higher into the mountains. 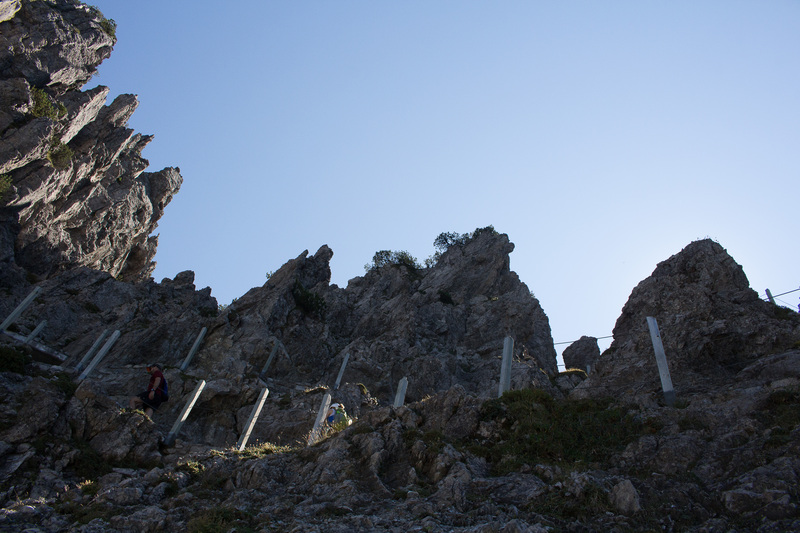 at the end of the Gafleistrasse, which sits at about 1400m. From here there are many signposted walks, and we chose to do part of the “Fürstensteig” or “Princes Way Walk”. The first half of the 6km loop is essentially all up, but offered breathtaking scenery to help us forget all about sore legs or puffing lungs. 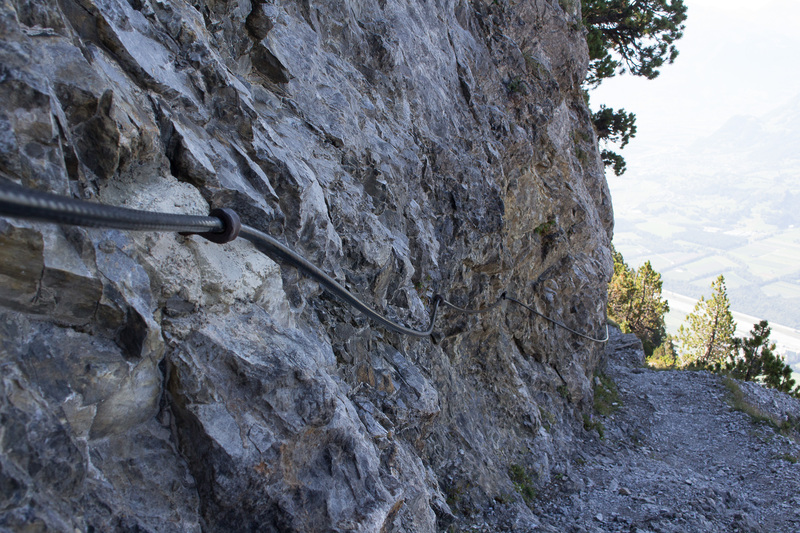 Some parts of the trail traverse ledges along steep cliff faces, and even have cables stapled into the mountain side to hold onto. 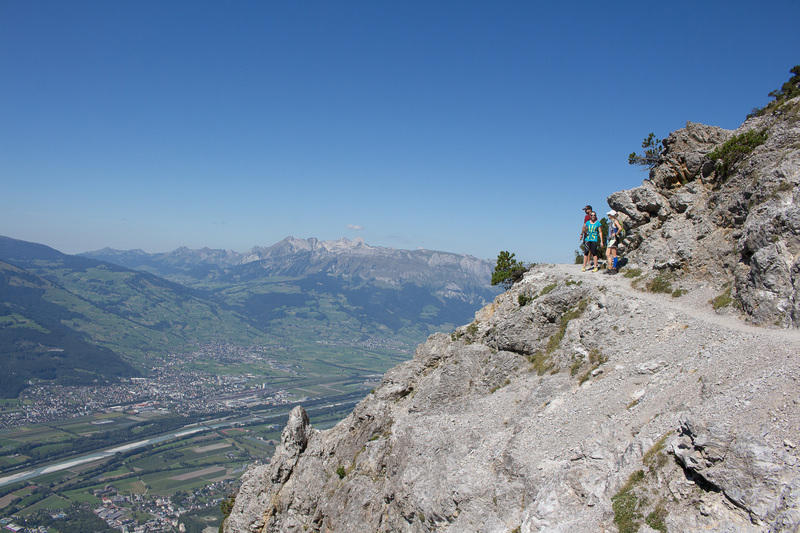 This walk is not for those with vertigo or a fear of heights! Once we rounded the side of the mountain, the terrain instantly changed from grey rock and shingle to grassy meadows and dirt tracks. From our vantage point at about 1650m, we could clearly see the Three Sisters peaks towering above spectacular valleys and a shepherds hut which must be inaccessible in winter. Once we reached the highest point of our loop, it was time to meander downhill back to the car park. We had a musical accompaniment for this journey, as we walked through meadows which were home to cows wearing bells around their necks. After just over 2 hours of hiking it was time to head down the mountain in search of lunch. We arrived in Vaduz, the capital of Liechtenstein to lunch menus in the order of 30 euros a main… luckily the supermarket was open on a Sunday so we could have some albeit expensive, bread and cheese instead! Before leaving Liechtenstein, we checked out the famous Vaduz castle. We weren’t able to enter the grounds or the castle itself, as it is private property and home to the Prince of Liechtenstein. 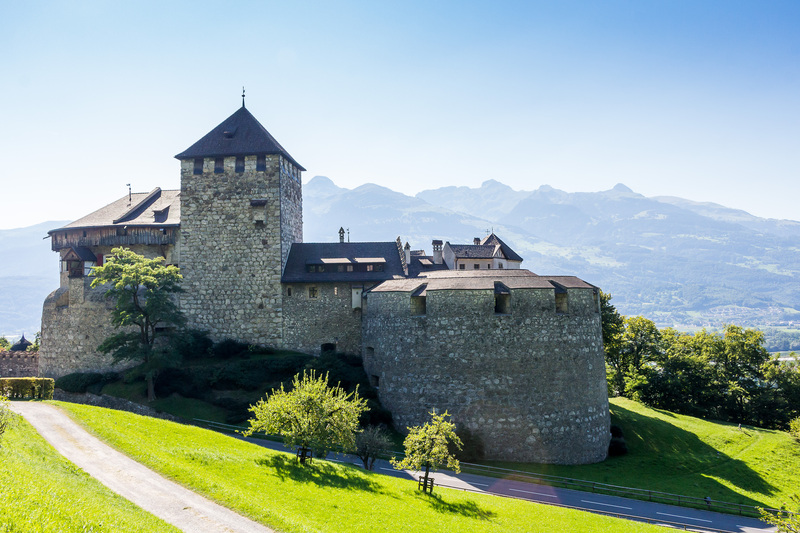 It was built in medieval times, and purchased from the Roman Emperor in 1712 at the time the family of Liechtenstein purchased the countship of Vaduz (events which followed resulted in Liechtenstein becoming a principality). 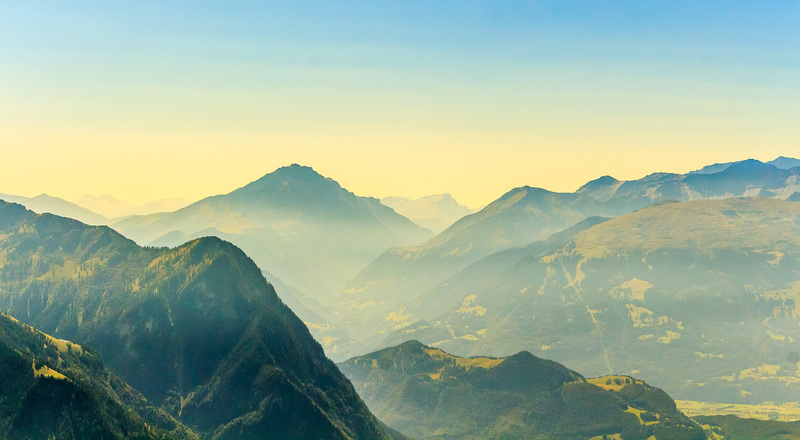 We found Liechtenstein to be very Swiss, but are impressed with its network of hiking and mountain biking trails as well as its natural beauty. 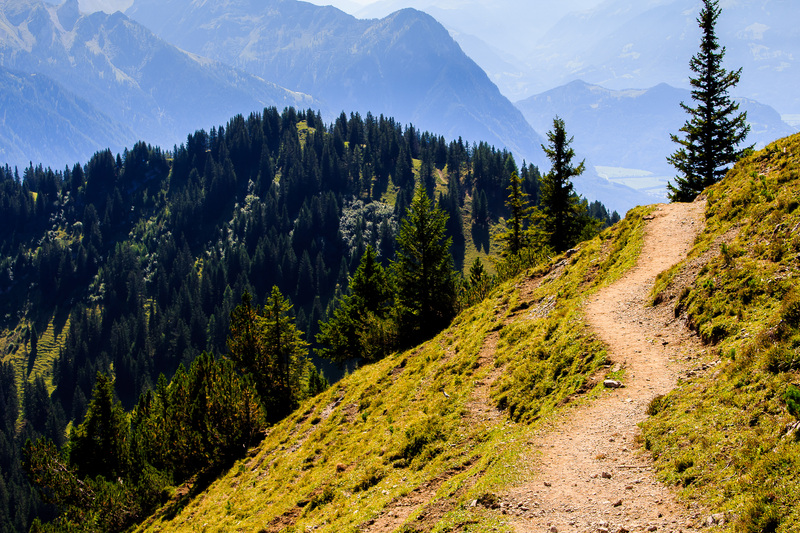 It seems like a good place for a day trip or weekend mountain escape, and we won’t discount the possibility of a longer hike there some day.